3 YRS Xiagong Chusheng (Hubei) Special Purpose Vehicle Manufacturing Co., Ltd. 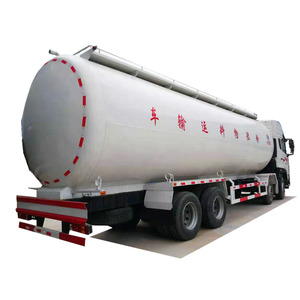 Bulk cement tanker truck is consist of special chassis,tank body,pipe system, air compressor, automatic discharge device,etc. It mainly used to transport dry bulk cement, flyash, pulverized lime and any other dry material whose diameter is less 0.1mm. We can offer you more than 300 kinds of special vehicles with different chassis, different function. 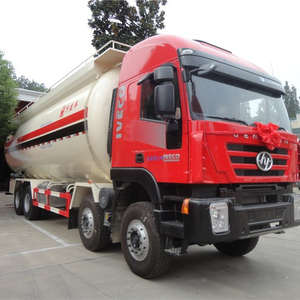 4 YRS Zhuhai Fengli Auto Technology Co., Ltd.
4.The rear part of tank body is configured with pneumatic hoist rail which is humanized design ensuring convenient and safe poeration. 5.The top of tank body is configured with pneumatic hoist rail which is humanized design ensuring convenient and safe operation. 6.It is configured with European style anti-explosion manhol cover and sea valve, possessing the characteristics of overflowing prevention in tip-over and safety. Discharging Hose, 4 inch Discharging Hose Length ,6,000 mm Discharging capacity&ge;1,200 Kg/min Working pressure,0.2 Mpa. MAX Horizontal Discharging Distance, 5,000 mm MAX. Vertical Discharging Distance,25,000 mm. 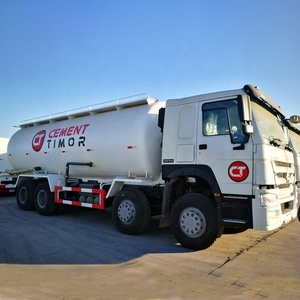 2&gt; We can produce any kinds of bulk cement truck,according to your requirements. 1. 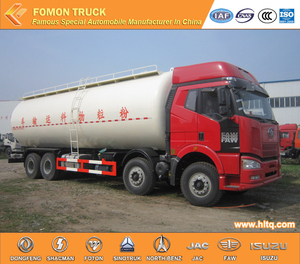 We are the biggest professional special trucks manufacturer in China,being in this field for 10 years. 3. 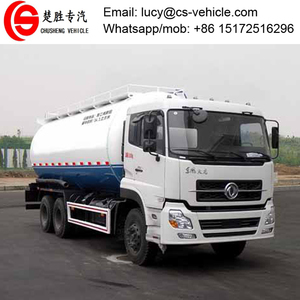 OEM Sevice: we can produce the trucks according to your request,such as the material,the size,the colour and the logo is optional for you. 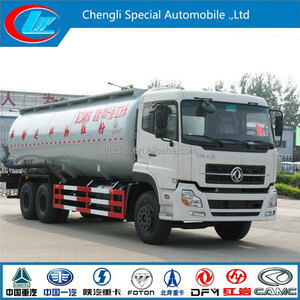 8 YRS Hubei Xindongri Special Vehicle Co., Ltd.
, ltd, is a professional manufacturer of special trucks, located in Suizhou which is famous as China Special Automobile City. The company is listed in national designated refitting manufacturer, is a refitting base of dfac and sales branch of faw. We have seven producing workshops and all of our products are catalogued in nation notice and comply with the new regulations to meet the new standards. Vertical Discharging Distance : 15,000 mm ABOUT US HUBEI VELDLION MACHINERY CO. , LTD is a special purpose vehicle manufacturer that has the capacity of self-research and development,production,export and before and after sales service. Creating Value for our customers is our company's concept, Welcome to enquiry from ours, we will do the best effort to match your target We hope to establish longterm business relationship with you! 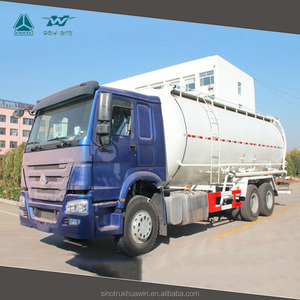 7 YRS Suizhou Lishen Special Vehicle Co., Ltd.
12 YRS Jinan Hainuoer Trading Co., Ltd.
Alibaba.com offers 2,468 dry bulk truck products. such as free samples, paid samples. 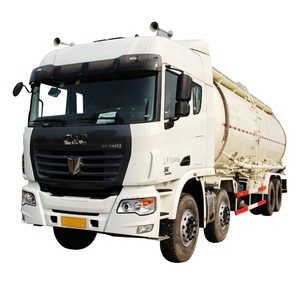 There are 2,468 dry bulk truck suppliers, mainly located in Asia. 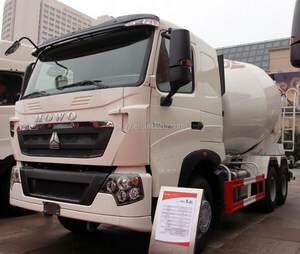 The top supplying country is China (Mainland), which supply 100% of dry bulk truck respectively. 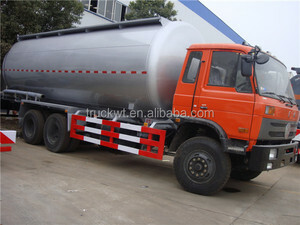 Dry bulk truck products are most popular in Africa, Southeast Asia, and Domestic Market. You can ensure product safety by selecting from certified suppliers, including 1,222 with ISO9001, 657 with Other, and 246 with ISO14001 certification.